Your driveway plays a big part in your property’s curb appeal and is often the first thing people notice when they view your home. 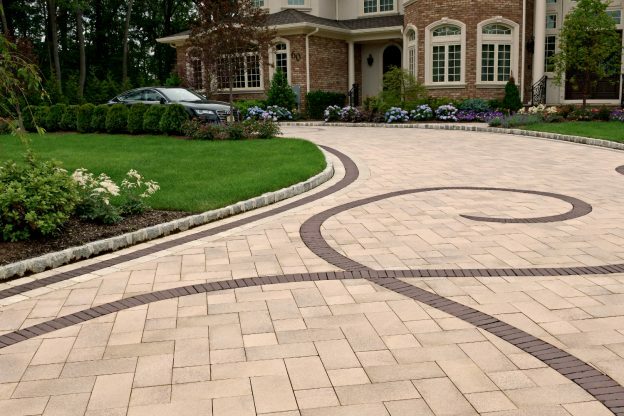 A well designed, functional, and good-looking driveway is an important component of your home for this reason, but you also have to drive in and out of it everyday, so make sure it’s the best it can be! Having walls and a gate for your driveway not only make for a stylish entrance, they are also functional and promote better security. Natural stone walls can provide a rich and characterful aesthetic and offers a sturdier structure than a simple wooden fence. Natural stone walls are also generally considered more attractive than plastered concrete due to their rich surface texture and natural coloring. Some homeowners may desire a gate for their driveway. Determining the style of gate depends on your own tastes and architectural style of your home. You don’t have to go overboard with a dramatic cast-iron gate that makes your home look like a forbidden fortress. The intention should be to provide security or privacy while also creating a welcoming driveway entrance. There are a variety of wooden and metal gate designs available that are sturdy and still look amazing. 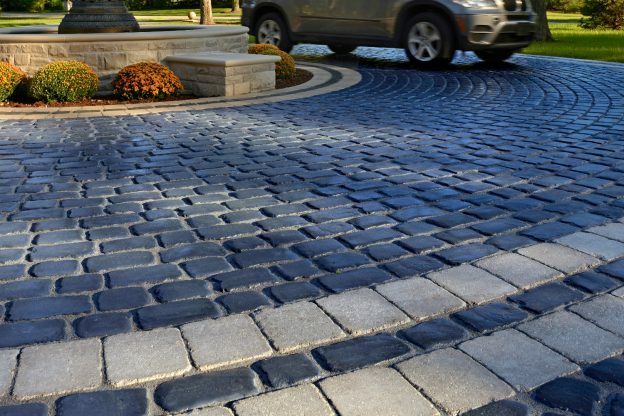 To upgrade the material from which your driveway is constructed, consider installing natural stone or concrete pavers. These offer a vast array of different designs and styles to suit your tastes and are available in a number of different shapes, sizes, colors and textures. When choosing a paved driveway design consider whether or not it’s compatible with the architecture and theme of your property. With so many options available it’s easy to pick one that matches your desired driveway aesthetic. Driveway lighting is important for creating a safe and welcoming entrance to your property after dark. Light up your spectacular driveway paving material with lighting set close to ground level or include surrounding landscape features by having your driveway lighting mounted on pillars. Driveway lighting can also be embedded into low walls or retaining walls flanking your driveway, or be embedded into the driveway edging for lighting that remains discreet and out of the way during the day. Improving the landscape flanking your driveway can also go a long way towards an attractive, welcoming entrance. Lush greenery can highlight the color of your paving materials or soften the appearance of the paved area. These plantings can be incorporated into plant beds that run alongside your driveway or be placed at eye level by incorporating retaining walls into your landscape design. Is your driveway too narrow for easy accessibility? Maybe you don’t have enough space for parking and guests have to park on the street? Consider the advantages of extending the width of your driveway. This can eliminate a daily inconvenience, improve the appearance and functionality of your property and increase accessibility. 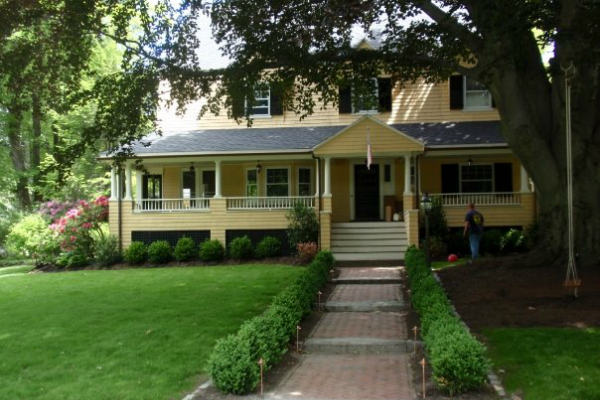 While a driveway remodel is the ideal solution to this problem, a simple driveway apron can be added to flare out the entrance and allow for easier access, while a wide border can increase the width of an existing surface. This entry was posted in Design & Construction and tagged Concrete Pavers, Curb Appeal, Driveways, Natural Stone, Outdoor Lighting on April 20, 2017 by 12850420.